Pre-orders for picture packages may be placed online now at https://ios.mydorian.com using your school's access key provided here 3Z3K3AFK. Online pre-orders using your school's access key are available up to 4 days after retake day. 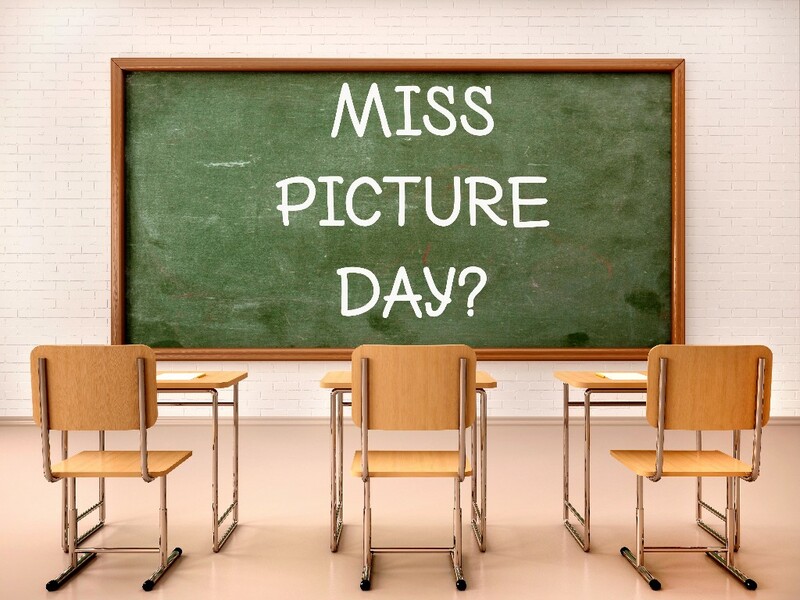 Picture day is quickly approaching. 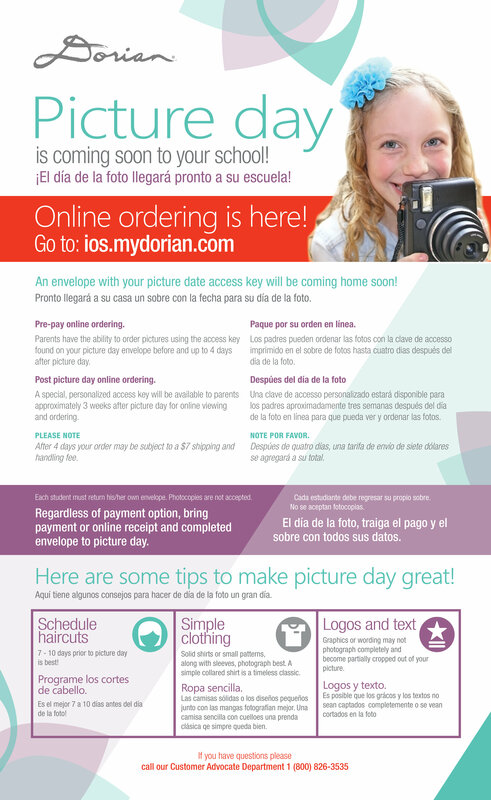 Pre-orders for picture packages may now be placed online at https://ios.mydorian.com using your school's access key provided here M5KNY3C5. Online pre-orders using your school's access key are available up to 4 days after picture day. With the closing of our district schools beginning on Thursday, April 26, 2018 and continuing to be closed for the duration of any work stoppage, it is necessary to cancel the Arroyo Community meeting for the new school design that was to be held on Monday, April 30. As always, we appreciate your involvement, support, and input and we will send information as soon as we can coordinate with all team members and reschedule to a later date. Should you have any questions, please feel free to contact me at 602-896-5105 or via email at Philip.liles@wesdschools.org. Please see the letter below regarding frequently asked questions about the completion of the school year. Thank you for your continued support of the #WESDFamily. Refiérase por favor a la carta más abajo que contiene preguntas frecuentes en cuanto al fin del año escolar. Please see the information below for updates regarding the teacher walkout. This page will be updated frequently as new details become available. Thank you for your patience and cooperation. tomorrow, May 4. Information about making up instructional hours will go home with students tomorrow. cómo reponer las horas de enseñanza se enviarán a casa con los estudiantes mañana. WESD locations. Thank you for your continued patience and cooperation. 32 escuelas, al igual que proveer cuidado de niños ‘KidSpace’ en 13 escuelas del WESD. Gracias por su paciencia y cooperación continua. provide KidSpace childcare at 13 WESD locations. Thank you for your continued patience and cooperation. su paciencia y cooperación continua. Our data indicates that we will not have enough staff to safely supervise students and provide regular instruction tomorrow. if new information comes in. Updates will also be posted to the WESD Facebook page, as well as school web sites and Facebook pages. If you have any questions, please call 602-347-2600. Thank you. 13 escuelas del WESD por orden de llegada. Continuaremos proveyéndoles información con llamadas telefónicas diarias. en un día si se recibe información nueva. daily phone calls. Please understand this is a fluid situation and we may provide multiple updates in one day if new information comes in. Updates will also be posted the WESD Facebook page, as well as school web sites and Facebook pages. cancelado la competencia de pista y campo programada para mañana en la Escuela Secundaria Thunderbird. es fluida y es posible que les proveamos múltiples actualizaciones en un día si se recibe información nueva.